There has been a widely documented and recognized increase in diabetes prevalence, not only in high-income countries (HICs) but also in low- and middle-income countries (LMICs), over recent decades. The economic burden associated with diabetes, especially in LMICs, is less clear. We provide a systematic review of the global evidence on the costs of type 2 diabetes. Our review seeks to update and considerably expand the previous major review of the costs of diabetes by capturing the evidence on overall, direct and indirect costs of type 2 diabetes worldwide that has been published since 2001. In addition, we include a body of economic evidence that has hitherto been distinct from the cost-of-illness (COI) work, i.e. studies on the labour market impact of diabetes. We searched PubMed, EMBASE, EconLit and IBSS (without language restrictions) for studies assessing the economic burden of type 2 diabetes published from January 2001 to October 2014. Costs reported in the included studies were converted to international dollars ($) adjusted for 2011 values. Alongside the narrative synthesis and methodological review of the studies, we conduct an exploratory linear regression analysis, examining the factors behind the considerable heterogeneity in existing cost estimates between and within countries. We identified 86 COI and 23 labour market studies. COI studies varied considerably both in methods and in cost estimates, with most studies not using a control group, though the use of either regression analysis or matching has increased. Direct costs were generally found to be higher than indirect costs. Direct costs ranged from $242 for a study on out-of-pocket expenditures in Mexico to $11,917 for a study on the cost of diabetes in the USA, while indirect costs ranged from $45 for Pakistan to $16,914 for the Bahamas. In LMICs—in stark contrast to HICs—a substantial part of the cost burden was attributed to patients via out-of-pocket treatment costs. Our regression analysis revealed that direct diabetes costs are closely and positively associated with a country’s gross domestic product (GDP) per capita, and that the USA stood out as having particularly high costs, even after controlling for GDP per capita. Studies on the labour market impact of diabetes were almost exclusively confined to HICs and found strong adverse effects, particularly for male employment chances. Many of these studies also took into account the possible endogeneity of diabetes, which was not the case for COI studies. The reviewed studies indicate a large economic burden of diabetes, most directly affecting patients in LMICs. The magnitude of the cost estimates differs considerably between and within countries, calling for the contextualization of the study results. Scope remains large for adding to the evidence base on labour market effects of diabetes in LMICs. Further, there is a need for future COI studies to incorporate more advanced statistical methods in their analysis to account for possible biases in the estimated costs. The online version of this article (doi: 10.1007/s40273-015-0268-9) contains supplementary material, which is available to authorized users. The evidence documenting the large—and at least partly avoidable—economic burden of type 2 diabetes has grown rapidly in the past 13 years. Many studies documenting the economic costs of type 2 diabetes in low- and middle-income countries (LMICs) have emerged, providing a first picture of the economic impact of diabetes in poorer countries, whereas the evidence on the labour market effects in LMICs remains scarce. Costs of diabetes, as well as its adverse labour market effects, increase over time and with disease severity, indicating that early investments into prevention and disease management may be particularly worthwhile. COI studies in particular did not rigorously account for potential biases in their estimation, suggesting that cost-effectiveness studies that make use of these estimates might under- or overestimate the value for money of the respective intervention or drug. Diabetes is a chronic disease that has spread widely, not only in high-income countries (HICs) but also in many low- and middle-income countries (LMICs) over recent decades. The most recent data from the International Diabetes Federation (IDF) indicate that diabetes affected 382 million people worldwide in 2013, a number that is expected to grow to 592 million by 2035. The estimated global prevalence in 2013 amounts to 8.3 % among people aged 20–79 years, with the world’s most populous countries, India and China, reaching prevalence rates between 9 and 10 %, corresponding to 65 and 100 million in absolute numbers, respectively. Particularly high prevalence rates are found in Mexico (12.6 %) and Egypt (16.8 %), surpassing the rates of most HICs, including the USA (9.2 %) and Germany (8.2 %) . Taken together, in 2013 about two-thirds of all individuals with diabetes lived in LMICs . The rising prevalence of diabetes in LMICs appears to be fuelled by rapid urbanization, nutrition transition and increasingly sedentary lifestyles . The most prevalent form of diabetes by far is type 2 diabetes, affecting about 90 % of people with diabetes, while the remaining 10 % mainly have type 1 diabetes or gestational diabetes . Due to its adverse effect on people’s health, diabetes also imposes an economic burden on individuals and households affected as well as on healthcare systems. The economic burden of diabetes was confirmed by Ettaro et al. in a review of cost-of-illness (COI) studies on diabetes mellitus, published in 2004, covering the literature up to the year 2000. The authors concluded that the direct and indirect economic burden of diabetes was “large”, and that costs had increased over time. However, the review also noted that significant variation in costing methodologies made it near impossible to directly compare the cost estimates. However, the studies reviewed by Ettaro et al. were almost exclusively focused on the USA, with a small number coming from European HICs and none from LMICs. The aim of this study is therefore to systematically review the literature on the economic costs of diabetes published since 2001 (i.e. the first year not covered by the Ettaro et al. review), as we expect a considerable number of new studies, also from LMICs. In addition to the COI studies, we review the literature on labour market outcomes, with a specific interest in the methodological challenges involved. In doing so, we substantively update and expand the scope of the Ettaro et al. review, allowing us to revisit its findings regarding the evidence base about the economic burden of type 2 diabetes globally. COI studies generally assess the direct and indirect costs of a particular illness, where the former represent the opportunity cost of resources used for treatment. The indirect costs measure the value of resources lost due the illness, most commonly those caused by losses in productivity due to mortality and morbidity as measured in lost earnings . In addition, another approach also focuses on estimating the impact of diabetes on labour market outcomes. However, rather than trying to estimate the monetary losses that arise from a decrease in productivity, these studies typically compare labour market outcomes (e.g. employment probabilities, earnings or lost work days) between people with and without diabetes, while accounting for differences in age, education and other demographic and socioeconomic variables, that might arise between both groups and that could affect labour market outcomes as well as the chances of developing diabetes. The aim of studies in this field is to obtain a clearer picture of how diabetes causally affects these labour market outcomes, without necessarily monetizing the results. Because of the different methodologies and data requirements, these studies tend to differ considerably from traditional COI studies, which is why we reviewed them separately. To the best of our knowledge, this is the first review that systematically assesses the studies in this particular field. PRISMA (Preferred Reporting Items for Systematic Reviews and Meta-Analyses) guidelines were used as a basis for the overall study approach . The electronic search was based on the following search terms: ‘Diabetes Mellitus’ [Mesh] AND (‘Costs and Cost Analysis’ [Mesh] OR ‘Cost of Illness’ [Mesh] OR ‘Employment’ [Mesh] OR ‘Labor Market’ [All fields] OR ‘Labour Market’ [All fields] OR ‘Productivity’ OR ‘Willingness to pay’ [All fields]). The above search was run in PubMed and was then adapted for searches in EMBASE, EconLit and the International Bibliography of the Social Sciences (IBSS). The search was carried out from October 2012 to October 2014 and restricted to studies published between January 2001 and October 2014, as the earlier review had covered COI studies until 2000 . No language restrictions were applied. The references were downloaded in RIS format where possible and then transferred to Mendeley. Authors were contacted for further information if clarification was needed after the full-text analysis. Studies were eligible if a monetary estimate of the direct and/or indirect costs of diabetes was presented in the results section or if studies provided an estimate of the impact of diabetes on labour market outcomes (employment chances, labour income, wages and lost work days). We did not exclude studies with a small sample size, as this might have discriminated against studies in LMICs. Studies on types of diabetes explicitly different from type 2 diabetes were excluded. However, we included studies that did not explicitly mention the type of diabetes, given that type 2 diabetes accounts for about 90 % of all diabetes cases. Studies exclusively assessing the costs of diabetes complications or the costs of management strategies were excluded as were studies estimating the costs for specific groups with diabetes (e.g. costs for people with poorly controlled diabetes), since we were interested in the costs incurred to populations comprising the whole spectrum of people with type 2 diabetes. Editorials and reviews and studies for which the full text could not be retrieved or only an abstract was available were also excluded. Data extraction was carried out by two investigators (TS and OA). After duplicates were removed, titles and abstracts were scanned by one researcher (TS) to identify studies suitable for a full-text review. The process was checked by a second researcher (OA) on a random subsample of 2,000 studies of the retrieved references. The full text was subsequently retrieved for the identified studies, and they were reviewed by two researchers (TS and OA), with disagreements resolved by discussion. Finally, 109 studies were identified (see Fig. 1) that fulfilled the inclusion criteria, and data extraction was carried out using a pre-defined extraction table. Primary outcomes were the total costs, the direct costs, and the indirect costs of type 2 diabetes and the respective per capita estimates of these outcomes, as well as the impact of type 2 diabetes on employment chances, income, wages and lost work days. Secondary outcomes comprised the methodology used to assess the monetary costs of type 2 diabetes, the range of cost factors included in the analysis, as well as the methodology used to assess the labour market impact of diabetes. Further extracted information included the year of publication, year of data collection, the time horizon, the country or region studied, the data source, sample size and age as well as information on whether the study distinguished between types of diabetes. We present the COI study results in per capita values to facilitate comparability across countries. For studies presenting overall population level estimates rather than per capita costs information, we calculated those costs, whenever possible, using the diabetes prevalence mentioned in the respective study. If no total cost estimate was presented but information on direct and indirect costs was available, then direct and indirect costs were added up to produce a total cost estimate. We converted costs into purchasing power parity (PPP) adjusted estimates, also called international dollars and henceforth denoted with the $ sign, in order to further increase comparability. Since some studies did not present the data in the country’s local currency but in US$ or some other major currency, we used the exchange rate given in the article to convert the estimates back into the local currency. If no exchange rate was provided in the study itself, we used the average exchange rate (midpoint exchange rate according to OANDA historical exchange rates [http://www.oanda.com/currency/historical-rates/]) for the reported year. The PPP-adjusted estimates for the year 2011 were then calculated using the Campbell and Cochrane Economics Methods Group Evidence for Policy and Practice Information and Coordination Centre (CCEMG-EEPPI Centre) cost converter . For all additional analyses carried out in the following sections, only studies for which a mean cost estimate was presented or could be calculated were included. Further, in the case of a study presenting estimates for more than 1 year, only the estimate for the most recent year was used for the analysis. For studies presenting both incremental and total cost estimates, only the incremental cost estimate was taken into account. Studies were further classified into two groups according to the level of economic development of the investigated country—(1) high-income and (2) low- and middle-income countries (LMICs)—according to the historical World Bank income group classification of the respective country in the year that data collection for the respective study had taken place . Where necessary due to space constraints, we used abbreviations for country names, as detailed in Table 7. In order to explore the factors involved in the variation of direct costs reported in COI studies, we first plotted the direct per capita costs in relation to the gross domestic product (GDP) per capita of the respective country and provided an estimate of the relationship using linear regression. We then conducted an exploratory regression analysis, with the annual direct cost per patient as the dependent variable to investigate what other factors might explain the variation in direct cost estimates. The set of independent variables comprised (1) the estimation approach in each study, (2) the year of data used, (3) the GDP per capita of the studied country in international dollars, (4) an indicator of whether the study was conducted in the USA, (5) an indicator of whether the study was deemed to be nationally representative, and (6) a variable indicating whether the study had explicitly taken diabetes-related complications into account. The year of the used data was considered because the development of social security systems and treatment methods may affect how the direct costs evolve over time. We categorized this variable into groups: studies using data from before 1995, 1995–1999, 2000–2004, 2005–2009 and 2010–2014. The dummy variable for studies on the USA was included to account for the generally higher healthcare expenditures in the USA compared with other HICs with similar per capita income levels . Accounting for national representativeness should cancel out any effects that might be driven by those studies that estimate costs for sub-national-, regional- or city-level population samples. Including an estimator for diabetes complications should account for the possible underestimation of diabetes costs in studies excluding complications. We exclude country estimates extracted from multi-country studies in our preferred specification, as their inclusion would lead to an over-statement of the cost effect of the estimation method employed in the given multi-country study. Due to the differences in methodologies, we first present the findings on the identified COI studies and subsequently turn to studies on labour market outcomes. We identified a total of 86 relevant COI studies (see Table EMS_1 in the Electronic Supplementary Material [EMS] 1 for a detailed description of the included studies), of which 62 focused on HICs, 23 on LMICs, and one multi-country study covered both HICs and LMICs. Studies on LMICs increased over time, with the majority of the LMIC studies being published between 2007 and 2014. Six of the selected studies were multi-country studies, of which two [9, 10] did not provide detailed cost estimates for every country in the study and one did not provide a year for the estimated costs, so that we could not calculate estimates in international dollars . Therefore, we could not include these particular studies in our country-specific analysis. In terms of geographic regions, most studies were carried out on countries in Latin America and the Caribbean (n = 38) and Europe (n = 37), followed by the USA and Canada (n = 26), East Asia and Pacific (n = 11), the Middle East and North Africa (n = 5), South Asia (n = 4), Sub-Saharan Africa (n = 4) and Australia (n = 1).1 The USA was the most studied country (n = 19), followed by Canada (n = 7) and Germany (n = 5). Mexico (n = 6) and China (n = 4) were the most frequently studied LMICs. Especially in LMICs, self-administered surveys represented a popular method to retrieve data on the cost of diabetes. These were mostly limited regionally, i.e. to a city or hospital, and usually only representative of these regional diabetes populations but not of a national population. In HICs, databases of insurance and healthcare providers were the main source of information in most studies. These data tended to be representative, either at a national or at some sub-national level. As a result, the size of the samples in HICs was mostly between 1,000 and several million. By contrast, studies in low- and lower-middle-income countries were generally characterized by smaller sample sizes, ranging from 35  to about 2,433  in the studies reviewed here. As discussed in more detail in the Text Box in ESM 2, a range of costing approaches can be found in the COI literature. Figure 2 shows that the most common costing method for the direct costs of diabetes in HICs was the sum-all medical approach for people with diabetes without using control groups [9, 11, 14, 15, 16, 17, 18, 19, 20, 21, 22, 23, 24, 25, 26, 27, 28, 29, 30, 31, 32, 33, 34, 35, 36, 37, 38, 39, 40]. The disease-attributable costing approach [12, 41, 42, 43, 44, 45, 46, 47, 48, 49, 50, 51, 52, 53, 54] and the attributable-fraction approach was also used widely, although mainly in the USA [55, 56, 57, 58, 59, 60, 61]. The incremental cost approach was applied primarily in studies on HICs [10, 13, 51, 60, 62, 63, 64, 65, 66, 67, 68, 69, 70, 71, 72, 73, 74, 75, 76, 77, 78, 79]. For LMICs, the survey approach was the most used [80, 81, 82, 83, 84, 85, 86, 87, 88, 89, 90, 91, 92]. By contrast, almost all indirect cost assessments followed the same methodology, i.e. the human capital approach. This approach considers all forgone labour earnings of a patient or caregiver that are attributable to diabetes. A minority of three studies [91, 93, 94] estimated the indirect costs using the willingness-to-pay (WTP) approach, which tries to measure how much individuals would be willing to pay to reduce the risk of an illness , here diabetes (or certain complications associated with it). One of the studies included WTP estimates in addition to the direct and indirect costs measured by the human capital approach  but did not include the WTP estimate in the overall cost estimate, while the other two studies estimated exclusively the WTP [93, 94]. Studies also varied in their perspective, again compromising direct comparability of the cost estimates across studies. Overall, most studies either took a societal (n = 32) or healthcare system perspective (n = 48). The former generally takes into account the direct and indirect monetary costs that arise to society, including costs to the healthcare system, costs due to lost productivity and sometimes out-of-pocket (OOP) costs . The latter was especially common in HICs, where many studies assessed the cost of diabetes to private or public health insurances. In LMICs, studies often took the patient perspective (n = 5), estimating OOP expenditures and in some cases productivity losses, directly arising to the diabetes patient. Of the 75 studies that reported the cost components they used to estimate direct costs, 72 took into account outpatient hospital visits, 70 inpatient hospital visits, 63 physician visits, 58 drug costs, 51 laboratory costs for diagnostic tests and check-ups, 37 equipment costs and 21 non-medical and transportation costs. A total of 46 studies had at least included the costs of hospital, outpatient and physician visits as well as drugs (see Table EMS_3 in ESM 3 for a detailed description of cost components used in each study). Two basic epidemiological approaches exist for the estimation of COI, and they are not directly comparable. The incidence approach follows people with diabetes, usually starting with their diagnosis at a common base year, estimating yearly costs for a sample of people at the same disease stage, finally giving an estimate of diabetes costs over a certain time period, such as from diagnosis to death or over a distinct period of, for example, 10 years. This approach can also document how costs of diabetes change and develop over the progression of the disease . By contrast, the prevalence approach estimates the costs of diabetes for a cross-section of people with diabetes at a certain point in time, normally a year, who are at different stages of the disease. It is most suitable for assessing the total economic burden of diabetes at a certain point in time. Due to this difference in time periods and the used data, the estimates of prevalence-based studies are not directly comparable with those of incidence-based studies. Hence, we present the cost estimates separately, starting with the prevalence approach. Table 1 shows the range of direct cost estimates by estimation approach and income status. As can be observed, direct cost estimates varied widely, both between and within the different estimation approaches. Cost estimates for direct costs, irrespective of the costing method applied and the cost components included, ranged from $242 for Mexico  in 2010 to $11,917 for the USA  in 2007. Also, studies from LMICs generally indicated smaller direct costs than studies from HICs. For indirect costs, studies using the human capital approach estimated costs ranging from $45 for Pakistan  in 2006 to $16,914 for the Bahamas  in 2000. Three studies estimated indirect costs by using the WTP approach and found costs ranging from $191 in a study on the WTP for health insurance for type 2 diabetes in Denmark in 1993 , a WTP $4,004 per year for a cure of type 2 diabetes  in Taiwan and an annual payment of $4,737 to halt disease progression/prevent future complications of diabetes in India . Societal costs of type 2 diabetes, which are estimated by studies combining direct and indirect costs, ranged from $544 in a study on the economic costs of diabetes in Iran  in 2001 to $18,224 for the Bahamas  in 2000. In order to improve the cross-country comparability of the costs of diabetes, we plotted the results from studies providing a direct per capita cost estimate against the GDP per capita estimate of the respective country (we limited this comparison to studies using samples representative of their entire population). Figure 3 confirms the expectation that costs do increase with economic wealth: GDP per capita explains about one-third of the variation in cost estimates (see r 2 in Fig. 3). Also, studies on the USA seem to estimate costs consistently higher than would be expected on the basis of its GDP per capita. The sensitivity of the cost results to the estimation approach was also examined by two studies that investigated the effect of different estimation techniques in diabetes COI studies. Honeycutt et al. compared the use of a regression-based and an attributable-fraction approach and found that the cost estimate of the former exceeded the latter by 43 %. Tunceli et al. compared the matching and the diabetes (disease) attributable costs approach and found a 14–29 % higher cost estimate using matching, depending on the used assumptions. Both studies concluded that an incremental cost approach results in a higher, and likely more exact, estimate of the direct costs of diabetes than disease-attributable approaches. The authors attributed this to the fact that a regression or matching approach can assign costs to diabetes that cannot be linked to diabetes otherwise. Those approaches are therefore in a position to account for all costs of co-morbidities caused by diabetes, while this is not automatically the case with the other approaches. To assess the relative importance of direct and indirect costs across countries, we plotted direct against indirect costs from studies that provided both estimates and drew a 45° line depicting the equal share of direct and indirect costs (see Fig. 4). Most studies found a larger share for direct costs in comparison with indirect costs (observations above the 45° line in Fig. 4). This is especially true for HICs, where only a study on Sweden  found a larger share for indirect costs. For LMICs, a study on Colombia  found considerably higher indirect costs, as did the multi-country study of Barceló et al. and a study on various countries in the African region , which both found higher indirect costs for almost every country in the study and also on average for the entire regions, represented as the mean overall study estimate in Fig. 4. Both studies used similar approaches to estimate costs, and indirect cost estimates were likely so high because evidence from only a few countries within the region were used as a basis for estimating indirect costs for every other country in the respective study. Further, the studies took the countries’ per capita gross national product as a proxy for earnings, which might have led to an over-estimation of the indirect costs . The four studies that used an incidence approach (see Table 3) estimated the cost of diabetes either over a person’s lifetime [19, 73] or over a certain period after diagnosis [21, 52]. González et al. modelled the lifetime (direct and indirect) costs of a typical diabetes patient in Colombia, arriving at a mean cost estimate of $54,000. The second study providing lifetime estimates, by Birnbaum et al. , estimated incremental lifetime healthcare costs for USA females with diabetes of $283,000. Two studies followed patients over a limited time period and found different patterns in the development of type 2 diabetes-attributable healthcare costs. In Germany, costs increased from $1,634 in the first year after diagnosis to $4,881 in the 7th year . In Canada, Johnson et al. found the highest costs in the year of diagnosis, with $7,635, up from $2,755 the year prior to diagnosis. In the year after diagnosis, costs decreased to $4,273 and then only increased slightly to $4,618 in year 10. In Germany and Canada, costs related to complications or hospital visits were the most important components and, in Germany, increased steadily over time. In Canada, costs related to prescriptions increased the most. Four studies projected costs of diabetes over a certain period of time [16, 17, 42, 80], making assumptions about the future development of diabetes prevalence and population ageing (see Table 4). For Canada, a 1.7-fold increase from 2000 to 2016  and a 2.4-fold increase from 2008 to 2035 in diabetes healthcare costs was estimated . Taking a healthcare system perspective, both studies found that the estimated increase would be mostly driven by an ageing population. For Australia, Davis et al. estimated a 2.5- to 3.4-fold increase in diabetes-attributable healthcare costs from 2000 to 2051, depending on the underlying assumptions about population ageing and diabetes prevalence rates. For China, Wang et al. extrapolated total costs of diabetes from the year 2007 to 2030, estimating the costs of diabetes to increase 1.8-fold, solely accounting for the expected increase in prevalence. 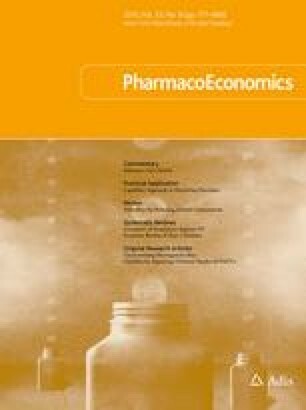 Besides studies that determined the cost of diabetes by costing related expenditures, another body of research has investigated—using econometric techniques—the impact of diabetes on ‘productivity’, a term used here to comprise outcomes including employment probabilities and lost work days and income or earnings. A recent study systematically reviewed evidence on the impact of diabetes on the ability to work, focusing on studies assessing the impact of diabetes on early retirement, lost work hours, absenteeism and presenteeism . We focused particularly on studies exploring the impact of diabetes on employment probabilities and earnings—both issues that were not covered in the mentioned review—and we took a more detailed look at the empirical challenges posed by the issue of endogeneity (see the Appendix for a more detailed discussion of endogeneity). Tables 5 and 6 synthesize the relevant information from the 22 identified studies on the effect of diabetes on employment and other labour market outcomes. Almost all studies were conducted on HICs, mainly the USA (n = 13) and European countries (n = 4). Only one study focused on a LMIC, investigating the effect of diabetes on labour income in China. Most studies examined the impact of diabetes on employment probability (n = 17), applying a range of econometric techniques. These have evolved over time, and more recent studies took into account the possibility that diabetes might be endogenous: it is conceivable that especially personal traits such as motivation and drive could influence the propensity to develop type 2 diabetes as well as a person’s job market opportunities. Further, being employed or unemployed could also lead to changes in lifestyles due to changes in income, stress or leisure time, that could themselves affect the chances of developing diabetes . Of the studies that tried to account for this problem [98, 99, 100, 101, 102, 103], the majority used an instrumental variables (IV) technique. This approach allows for the consistent estimation of the effect of diabetes on employment if a variable can be found that is causally related to diabetes without affecting the employment chances through any other unobserved pathway apart from its effect on diabetes. In the case of type 2 diabetes, all studies used the family history of diabetes as an IV to exploit the fact that the development of type 2 diabetes is much more likely for individuals whose biological parents have also had diabetes. It is argued that, while controlling for education, age and other observable demographic and socioeconomic factors (e.g. wealth, regional and ethnic differences and the number of children in the household), having a family member with diabetes should not affect the person’s employment status or other labour market outcomes, while strongly predicting the onset of type 2 diabetes. Because IV estimation has worse asymptotic properties than single equation regression results when endogeneity is not an issue, studies tested for the existence of endogeneity to determine which results to rely on for inference [98, 99, 100, 101]. Interestingly, the reviewed studies found diabetes to be endogenous for either males  or females [98, 99], but never for both. Further, the use of an IV sometimes increased the estimated effect [99, 101], whereas in other cases the effect turned insignificant [98, 100]. As a result, no unambiguous conclusions can be drawn as to how endogeneity affects diabetes and whether or not it causes biased estimates. Most of the relevant studies also explored whether accounting for body mass index (BMI) or other diabetes-related chronic conditions would substantially alter the result and found this not to be the case [98, 100, 104]. Overall, studies more commonly found a significant adverse impact of diabetes on males, ranging from no effect in Canada  to a 19 % point reduction in Taiwan . Conversely, no effect was found for women in Taiwan , Australia  or for Mexican Americans in Texas . However, a 45 % decrease in employment chances was observed for women in the USA . Extending the scope and looking at how diabetes duration affected labour market outcomes using panel data from the USA, one study found that the main adverse effect on employment chances materialized within the first 5 years after diagnosis for men and 11–15 years after diagnosis for women . For earnings, no effect was found for Mexican-American men in Texas , while the highest loss was found for women in the USA ($21,392 per year) . Again looking at diabetes duration, a wage penalty was only found for USA men 6–10 years after diagnosis, reducing their wage by about 18 % . The only study on a non-HIC, China, tried to tease out the psychological effect of a diabetes diagnosis on subsequent labour income, finding a reduction of 22 % in income for males, but not for females. Further, those with glycated haemoglobin (HbA1c) between 8 and 10 % experienced the most severe income penalty (28 %). The study further showed that the adverse effect of a diabetes diagnosis was concentrated among the poorest third of the study population . Another study investigated the effect on earning losses for caregivers of people with diabetes in the UK, finding a reduction of $2,609 per year, while the person with diabetes experienced a loss of $1,744 per year . For income, a reduction of $6,250 per year was found for older USA adults who had been followed between the years 1992 and 2000 . In terms of lost workdays and work hours due to diabetes, the effects ranged from no impact on lost work days on older people  and females in the USA  to 3.2 lost work days in a USA population within a 2-week period if complications were present . In terms of the methodology used, these studies tended to rarely account for endogeneity, and they mostly used standard regression or matching methods to estimate the impact of diabetes. Three studies [99, 105, 110] corrected for the possibility of a sample selection bias, to account for systematic differences between the working population and the overall population. Only one study additionally applied IV methods and found diabetes to be endogenous, so that its effects on earnings were dramatically understated using naive regression results . For working hours and days missed due to illness, the same study found no indication of endogeneity. Only one study applied an approach other than IV to account for endogeneity, using a difference-in-difference model and exploiting a recent diagnosis of diabetes, which was the result of the collection of biomarkers in the survey used, as a natural experiment to measure how income developed between those who were newly diagnosed and those without diabetes in the years following diagnosis . The objectives of this systematic review were to identify new evidence on the economic impact of type 2 diabetes that emerged since 2001 and extend the scope of the review by including studies on the labour market impact of diabetes. We identified studies from a great variety of countries, with large differences in cost estimates across and within countries. An obvious development since the last review is the emergence of COI studies on LMICs. The economic burden related to diabetes found in these studies indicated a strong direct impact on those affected by diabetes. This is reflected in the substantial burden of OOP treatment costs incurred by patients [10, 12, 26, 67, 80, 83, 85, 87, 88, 91, 92], with considerable proportions of the annual income being spent on diabetes care. This relative cost burden was generally higher for people with relatively lower household incomes [83, 85, 91]. Health insurance coverage had some protective effects against OOP expenditures, but mainly for those with higher incomes, while the poor often lacked coverage [83, 85, 91]. Once people were covered by health insurance, their risk of incurring catastrophic expenditures decreased significantly . An important cost factor that was predominantly investigated in studies on LMICs were non-medical costs for transportation, informal healthcare or food, which were found to considerably add to the experienced diabetes cost burden [67, 80, 81, 88, 92]. In terms of the costing methodology applied in COI studies, the number of studies estimating the excess costs of diabetes increased since the Ettaro et al. review. Those studies either used regression analysis or matching to adjust for the differences between people with diabetes and those without, accounting at least for age and gender, but often also for other socioeconomic, geographic and demographic differences. Other widely used approaches to estimate direct healthcare costs from the perspective of the healthcare system or private insurance included the disease-attributable and—slightly less frequently—the attributable-fraction approach. For cost assessment in LMICs, studies often either estimated total healthcare costs or carried out self-administered surveys. While Ettaro et al. suggested an increased use of disease-attributable approaches to arrive at more exact estimates of the costs of diabetes, the evidence found in this review indicates that using an incremental cost approach via matching or regression analysis could provide more accurate results, due to its ability to capture costs otherwise not directly traceable to diabetes. Nonetheless, the use of the estimation technique always hinges on the availability of appropriate data, with regression or matching analyses requiring information on people without diabetes to be used as a control group. Therefore, the estimation approach needs to be tailored to the available data. Compared with the evidence reviewed by Ettaro et al. , the field has generally advanced with respect to the analysis of costs in different ethnic and age groups. Two studies investigated differences between racial groups in the USA, showing that while ethnic minorities spend less on diabetes healthcare than Whites, this difference seems to be mainly based on differences in access to care between Whites and Blacks or Hispanics [39, 50]. In terms of age, studies found an increase in healthcare costs with age as well as with, in some cases, the duration of diabetes. A recurring problem was that many studies did not distinguish between diabetes types, making it difficult to exactly attribute the costs to the respective diabetes types. To explore the reasons for the wide heterogeneity in direct cost estimates across studies, we performed a regression analysis, which indicated that an important determinant for the cost variation across countries could be the economic wealth of the country (proxied by GDP per capita), similar to what was found in a review of indirect costs of various chronic diseases , possibly due to differences in the availability and affordability of diabetes care between HICs and LMICs [112, 113]. Further, studies on the USA seem to estimate consistently higher costs than studies on other countries, even when accounting for differences in GDP per capita. The higher direct costs of diabetes estimated for the USA are in line with the generally higher healthcare expenditures in the USA compared with countries with similar income levels, and could be the result of exceptionally high service fees  and prices paid in the USA healthcare system [114, 115]. Because of the small sample size on which our analysis was based, these results must be interpreted with caution, and other factors could still be important. For instance, other evidence suggests that different costing approaches have a considerable effect on diabetes cost estimates [51, 60]. Furthermore, the perspective taken, different data sources and populations investigated and decisions on the cost components included are likely important in explaining within-country heterogeneity. In particular, the inclusion of diabetes complications and decisions about which complication(s) to include, as well as the extent to which costs for these diseases are attributable to diabetes, can significantly affect the results. Not all studies in the review provide extensive information about how they include complications and some do not include them at all. Finally, the quality of the data used could have affected the cost estimates. Many studies in LMICs relied on self-reported data from small household surveys, limiting their generalizability and leading their results to be prone to recall bias. Further, these studies often identified people with diabetes via their use of healthcare institutions, which excluded a potentially important section of the population in LMICs unable to access formal care, possibly leading to an overestimation of the average diabetes-related costs. Turning to the effects of diabetes on the labour market, the existing studies showed, almost consistently, with the exception of Canada  and one study on the USA , that the employment probabilities of men were affected more adversely by the disease than those of women. However, while most studies have tried to tentatively explain these gender differences, the reasons for this have not been investigated in depth. The studies also showed that, when interpreting this research, it is important to consider whether a study has tried to account for unobservable factors or reverse causality, as otherwise the results might be misleading. Nonetheless, all studies using IV techniques used similar instruments to achieve identification, providing scope for further research using different identification strategies to further explore how endogeneity might affect the results. What has been apparent is the lack of research on labour market outcomes of diabetes in LMICs, with only one study investigating the effect of diabetes on labour income in China . This deficit might be due to a limited availability of suitable data sources containing sufficient information to allow for a similar investigation of the topic. The potential for rich, good-quality data sources to aid the investigation of the economic impact of diabetes can be illustrated by the several studies that used data from the Lower Rio Grande Valley in Texas. These studies demonstrate the evolution of methodology and data from the use of single equation regression models  to the use of IV methods  and—finally—biometric data on blood glucose values . While the first two methods allowed the investigation of the general effect of diabetes on employment chances, the latter was able to assess the impact according to how diabetes was managed by the patient, as proxied by the measured biomarkers. The study found that the main adverse effect was due to having diabetes regardless of how it was managed and that improvements in management only had minor positive effects. The authors concluded that investments in the prevention of diabetes would likely be more effective than improved diabetes management. The latter study and the study by Liu and Zhou  also show how biometric data (e.g. blood glucose values) can be used to arrive at a deeper understanding of the economic effects of diabetes. This information makes it possible to investigate the impact of diabetes according to the severity of the disease and also allows for the consideration of previously undiagnosed people with diabetes, increasing the policy relevance of the research. The results of both fields, COI and labour market studies, show a considerable adverse impact of diabetes in terms of costs to society, health systems, individuals and employers and in terms of a reduction in the productive workforce and productivity in general. Both research strands particularly indicate that the adverse effects of diabetes increase with diabetes duration as well as with the severity of the disease, judged by the high complication costs estimated in COI studies and the larger employment and income penalties for those with a longer disease duration or higher blood glucose levels. Nonetheless, several lessons can be learned for each field from advancements in the other field. Future COI studies would, for instance, benefit from the more frequent use of biomarker data. This would allow for a more precise analysis of the costs of diabetes according to the severity of the disease and help inform researchers and policy makers about the possible economic effects of achieving certain treatment goals, e.g., a reduction in blood glucose values. Also, and in contrast to the labour market outcomes literature, the endogeneity problem has hitherto not been addressed in any form in studies estimating direct healthcare or productivity costs, despite it being an equally important challenge in this domain. A possible bias could arise if some people developed diabetes as a result of an unobserved accident or illness, likely resulting in an overestimation of the costs. Endogeneity could also be introduced if people with diabetes became poorer as a result of the disease and consequently were not able to spend as much on their treatment as they would like to, leading to an underestimation of the true monetary cost of diabetes. Furthermore, an endogeneity bias would be introduced if diabetes was correlated with poverty so that diabetes prevalence would be disproportionately high in subgroups with less resources and consequently less access to care. This would lead to an underestimation of the healthcare costs of diabetes. Endogeneity in COI studies has recently been addressed for the estimation of healthcare costs of obesity, suggesting that direct costs would have been underestimated, had the study not accounted for endogeneity . It appears that, on the basis of the studies identified in our review, a similar and worthwhile approach could and should be applied to the case of type 2 diabetes. Yet the labour market studies also stand to gain from adopting certain approaches that are more common in COI studies. To date, only few labour market studies have used the incidence approach found for COI studies to follow people with diabetes over a certain time period from their diagnosis onwards, in order to further explore how the effect of diabetes on employment and productivity measures develops over time. So far, only one study has done this using a rigorous econometric panel data analysis , but more similar studies using other populations would be helpful to establish patterns reflecting the impact of diabetes on the labour market along the continuity of disease duration. For COI studies, the estimation of incremental costs—wherever possible—appears to be most suitable for diabetes, as it more accurately accounts for costs of co-morbidities and for less obviously related disease costs [51, 60]. More information that can guide researchers in their choice of methods already exists and should be referred to when performing a COI study . If possible, the use of convenience samples of people with diabetes visiting a healthcare institution should be avoided, particularly in LMICs, as it excludes those not able or willing to visit a clinic for treatment due to economic reasons, leaving out a potentially important proportion of diabetes patients. The interpretation of the COI results always hinges on the amount of information provided about, among others, the aim of the study, the perspective adopted and the cost components included as well as the estimation approach used. A discussion of how these choices might affect the estimates should also be part of every COI study. Researchers should therefore consult available guidance from the literature that sets out what information should ideally be included in a COI study  to increase the transparency and usability of their research. For labour market studies, more evidence from LMICs is needed. There is scope for exploring existing household datasets from LMICs that contain information on diabetes . In some cases, panel data are (or may come) available, which would allow the investigation of the effects of diabetes over time as well as improve the degree of causal inference by controlling for unobserved heterogeneity. As for labour market studies, other ways of achieving identification should be explored to reduce the reliance on IV methods using the family history of diabetes as the sole instrument. The increasing richness of information provided in recent data sets could be used to this effect, also taking into account other quasi-experimental econometric methods . A possible limitation of this review is the decision to refrain from excluding studies based on certain quality criteria, such as study design, costing methodology, sample size or reporting standards. This might have resulted in the inclusion of lower-quality studies with less reliable estimates, compromising the comparability across countries, particularly between LMICs and HICs, as study designs differed considerably. On the other hand, our overarching objective was to ensure a truly globally comprehensive overview of the literature on the economic impact of diabetes, including evidence from LMICs, which, for reasons often beyond the control of the researchers, may have been of limited quality and thus would have been excluded had we applied stringent quality benchmarks. Further, any attempt to apply a quality threshold would have faced the challenge of dealing with the absence of a formal checklist to follow in critically appraising the quality of COI studies. Rather than interpreting it as a limitation, we see the identification and synthesis of LMIC studies as a unique added value of this review, when compared to the Ettaro et al. review published in 2004. Notably, we also abstained from any language restrictions, which would have particularly excluded evidence from Spanish speaking and Eastern European countries. Taken together, these factors have resulted in a large number of included studies, allowing for an (albeit exploratory) statistical investigation of the heterogeneity in diabetes cost estimates as a complement to the narrative analysis. We therefore feel that the advantages of refraining from too stringent inclusion criteria more than outweigh the possible negative consequences of including potentially lower-quality studies. This review has provided an updated and considerably expanded picture of the literature on the global economic impact of type 2 diabetes. The results show a considerable impact of diabetes in terms of costs to society, health systems, individuals and employers and in terms of a reduction in the productive workforce and productivity in general. Studies on the costs of diabetes now provide evidence from HICs as well as LMICs, using a variety of study designs to estimate the costs of diabetes. The evidence indicates a particularly strong and direct economic impact of type 2 diabetes on people’s livelihoods in lower-income settings. Studies on labour market outcomes so far have been confined, almost exclusively, to HICs, leaving space for further studies in LMICs to provide additional evidence of the effect of diabetes in these countries. An issue not yet covered in diabetes COI studies—in striking contrast to labour market outcome studies—has been the possible bias introduced by endogeneity, providing an opportunity for advancing research in this area. The number of countries studied is higher than the number of articles reviewed due to four multi-country studies estimating costs for multiple countries [11, 14, 15, 41]. In a sensitivity analysis, we included the results from multi-country studies providing country estimates in the regression analysis. The only major difference to the presented analysis is that the inclusion of complications as well as the number of included cost components were now significant at the 1 and 5 % significance level, respectively. The effect size and significance of the other estimates did not change considerably. We have checked the references of our included labour market studies for any relevant studies published before 2001. We could find only one relevant study from 1998 investigating how employment chances and family income were affected by diabetes in the USA, comparing samples from 1976, 1988 and 1992 and finding significant adverse effects of diabetes on employment chances but not on family income . The effect for women decreased somewhat between 1976 and 1992, while the effect increased for men. The study did not account for the possible endogeneity of diabetes nor selection bias when estimating the effects on income. The work of MS on this paper was partially funded by the Centre for Diet and Activity Research (CEDAR), a UKCRC Public Health Research Centre of Excellence. Funding from the British Heart Foundation, Cancer Research UK, Economic and Social Research Council (ESRC), Medical Research Council (MRC), the National Institute for Health Research, and the Wellcome Trust, under the auspices of the UK Clinical Research Collaboration, is gratefully acknowledged. TS, OA and MS planned the work and finalized the manuscripts. TS carried out the database search, extracted, analysed and interpreted the data and produced the draft of the manuscript. OA also performed data extraction and contributed to the production of the first draft. MS oversaw the development of the work, contributed to the various drafts of the manuscript and provided guidance. TS is the guarantor for the overall content. Appendix: A1. What is Endogeneity? no other causes should eliminate the relation between x and y. Three major causes of endogeneity violate the conditions above. When a regression is run to determine the causal effect of variable x on variable y, but there are unobserved variables that affect variables x or x and y simultaneously, the estimated effect of x on y will be biased. For the case of type 2 diabetes and employment chances, there is the danger that, for example, personal traits like ambition, which are hard to observe, could influence the probability of developing type 2 diabetes through their effect on a person’s lifestyle, but they could also simultaneously affect the chances of employment through their influence on a person’s determination to find work or to perform well at work. If we are not able to control for this, then our estimate of the effect of diabetes on employment chances might, at least partially, represent the effect of personal traits on employment chances. As a result, our estimate of the effect of diabetes is biased and does not represent the true size of the relationship between the two variables. Simultaneity is present if our outcome variable y and our variable of interest x influence each other simultaneously, so that y not only is affected by x but x is also affected by y. In the case of type 2 diabetes and labour market outcomes, not only could diabetes influence employment chances or work-related income, but also resulting changes in lifestyle due to employment or an increase in income could affect the probabilities of developing diabetes. Due to an increase in income, people could change their diet or change towards a less active lifestyle, which in turn would make them more likely to develop type 2 diabetes. Measurement errors occur when the independent variable x is imprecisely measured. Here, this would be the case if people in a survey did not remember whether they have been diagnosed with type 2 diabetes and gave an incorrect answer. it should not be correlated to the dependent variable y other than through its correlation with x. This instrument is then used in a first regression to obtain predicted values of the problematic endogenous regressor. Because the instrument is not correlated with the error term, these predicted values of the endogenous variable will also be uncorrelated and can then be used in a second regression to predict the dependent variable y. The estimated coefficients of this second stage can then be regarded as consistent estimates. In the case of type 2 diabetes and labour market outcomes, an instrument has to predict the development of diabetes without being otherwise causally related to any of the labour market outcomes, be it employment chances, wages or some other measure of productivity. The instrument of choice so far has been the family history of diabetes. It has been shown that a considerable part of the risk of developing type 2 diabetes is hereditary [120, 121, 122]. This fact is exploited when the instrument is used and it is assumed that this is the only pathway through which a family history of diabetes affects a person’s diabetes risk, and also that, for example, parental diabetes does not affect the person’s labour market outcomes directly. The most common estimation techniques for the estimation of IV regressions are the linear IV model and the bivariate probit model. The latter is often deemed more apt for models where both the outcome and the IV are binary, so either 0 or 1, which is the case for employment as an outcome variable as well as diabetes family history as an instrument. Nonetheless, there is some discussion in the econometrics literature regarding the best method to estimate these cases, as it has also been argued that, because the linear IV technique does not depend on the assumption of normality of the error terms, in contrast to the bivariate probit model, its results are more reliable in the case of non-normality, but can sometimes lead to imprecise estimators, which can no longer be interpreted meaningfully . Both methods can be found in the reviewed papers. World Bank. World Bank Analytical Classifications [Internet]. [cited 2014 Feb 24]. Available from: http://siteresources.worldbank.org/DATASTATISTICS/Resources/OGHIST.xls.